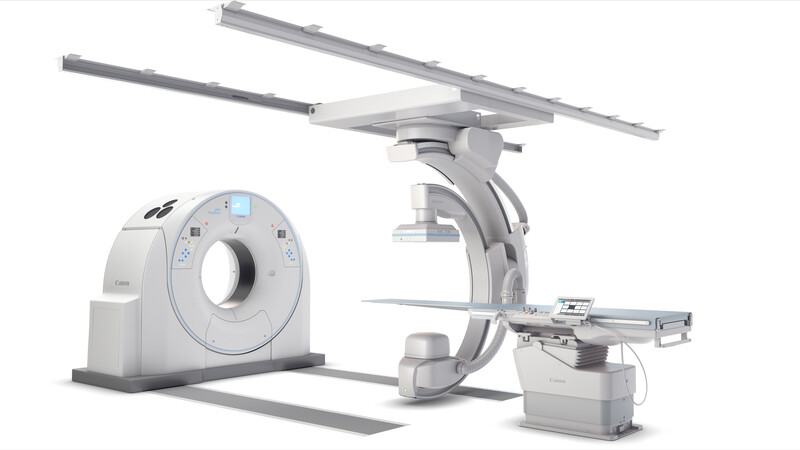 Canon Medical Systems USA, Inc. introduces a new, innovative angiography configuration featuring its Alphenix Sky + C-arm and Hybrid Catheterization Tilt/Cradle Table for interventional procedures with its innovative Aquilion ONE / GENESIS Edition CT system. The new 4D CT configuration is part of the new family of Alphenix angiography systems which delivers images with clarity and precision. The new family combines industry-leading dose optimization technologies, enhanced workflow and innovative features to help clinicians provide patients with safe and fast treatment. Canon Medical is showcasing its next-generation Alphenix platform, at this year’s Radiological Society of North America (RSNA) annual meeting in Chicago, IL from November 25-30, 2018 (Booth #1938, South Level 3).